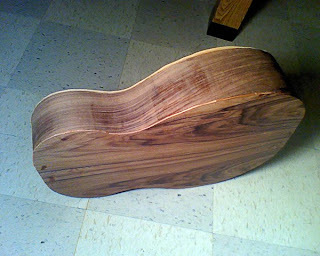 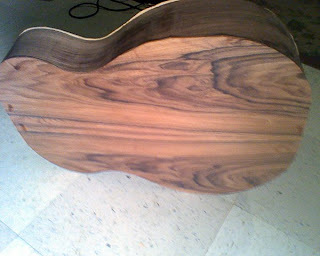 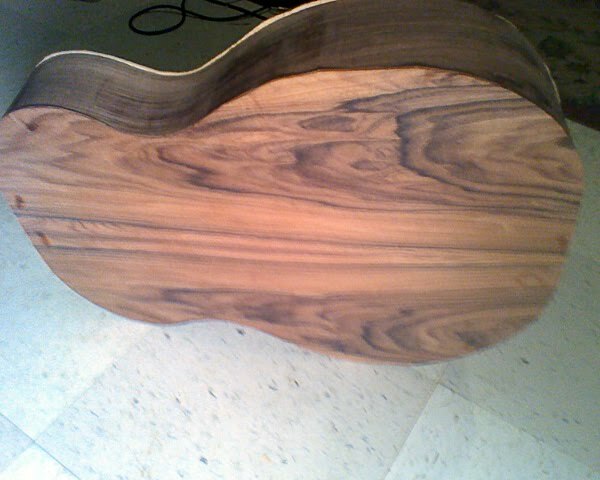 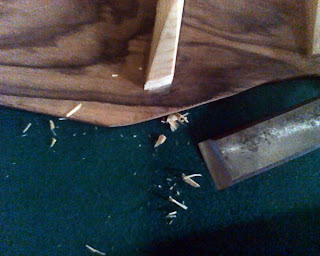 Making a Guitar: Putting the Back On. Finishing up the chiseling the braces so the back fit's to the sides. 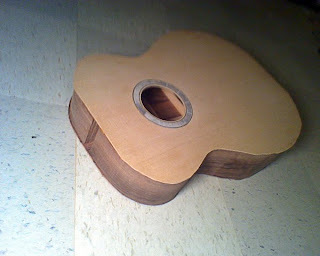 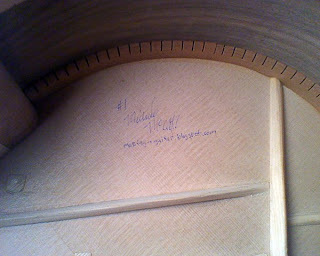 I also drew a line around the back and cut it semi flush to the sides so the back doesn't crack when I'm tying it down. 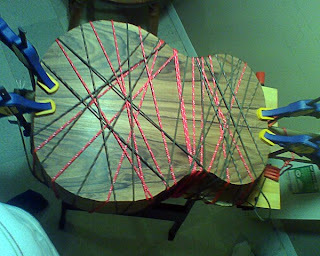 Applying the glue prior to setting the back down. 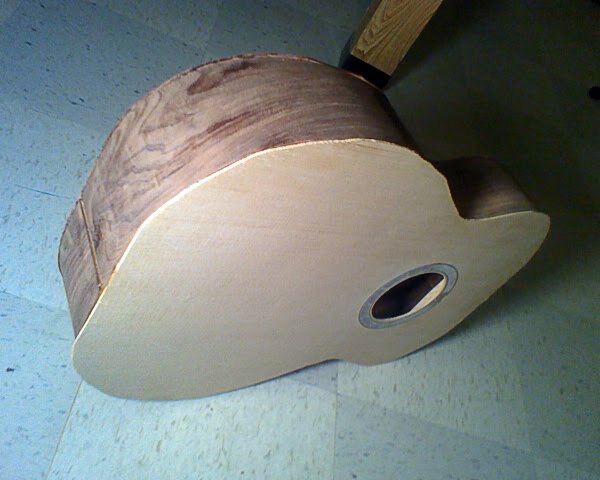 Clamped the tail block down first, then the heal- block. 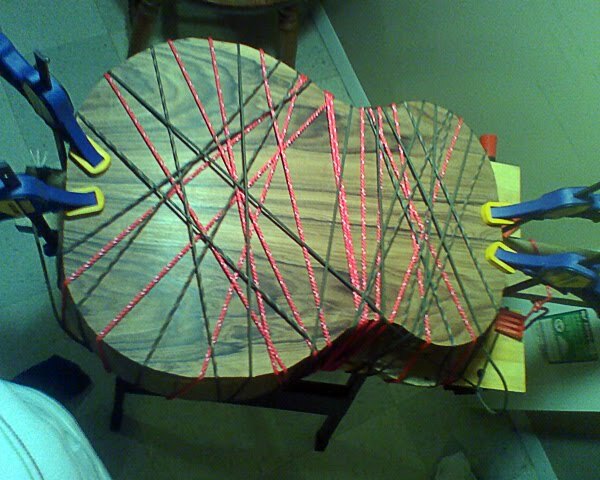 Then I used a bunch of paracord to tie the board down tight. 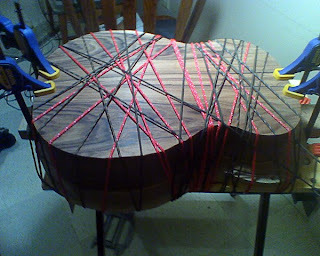 Put more clamps on for good measure, Not sure if this was a good idea, (probably won't do it again, but I did have a shim-sheet under the guitar). 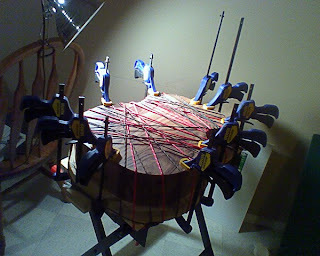 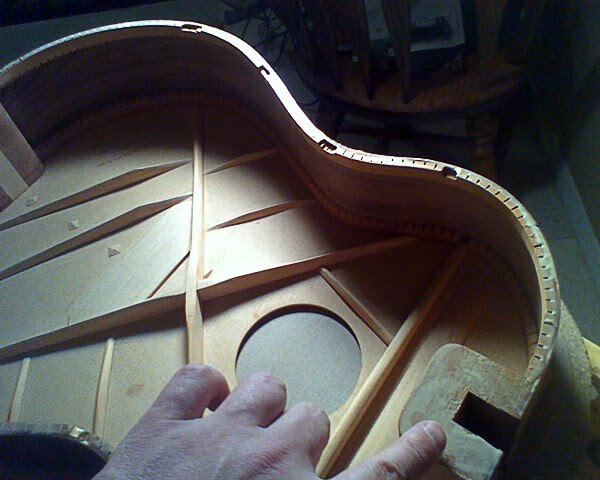 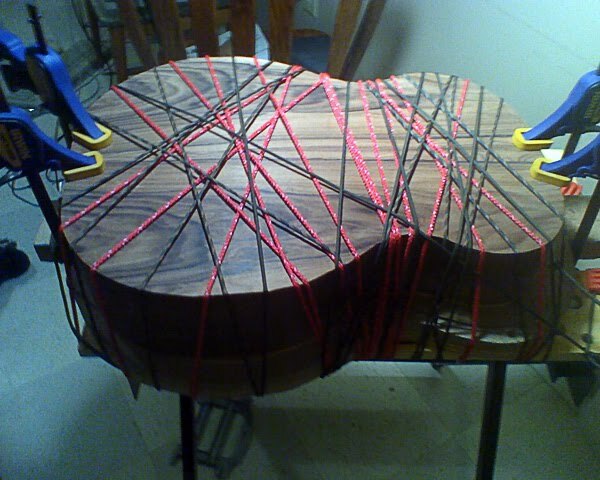 This is what it looked like after taking the strings off.